James J McAuley was born in Dublin in 1936, where he worked from 1953 as assistant to the manager of Chapelizod Greyhound Stadium, then as an ESB clerk, then journalist. Having worked as a freelance arts reviewer and occasional lecturer at the Municipal (now the Lane) Gallery, in 1966 he emigrated to the US where he received an MFA degree from the University of Arkansas in 1971. 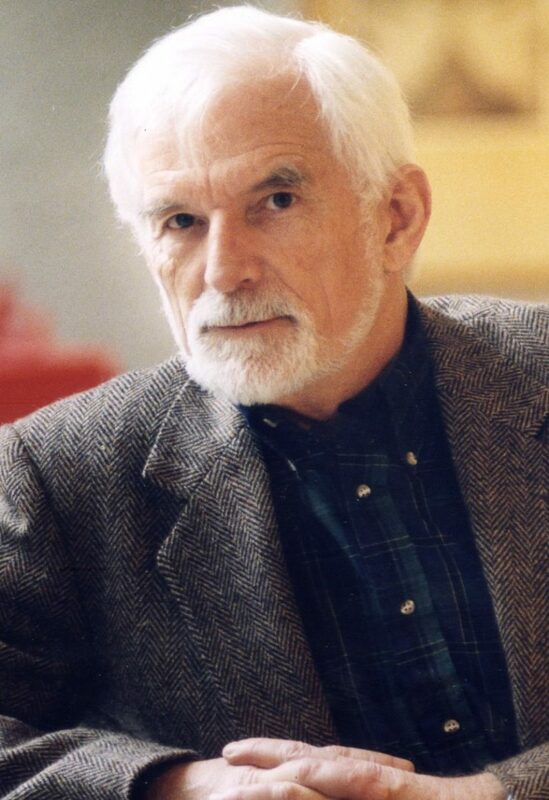 From 1968 until his retirement in 1998, he taught poetry and poetics, literature and Irish Studies courses at Lycoming College and Eastern Washington University where he was also the founding director of their Creative Writing Programs. From 1979 until 1999, he directed the EWU Summer Writing Workshops at the Irish Writer’s Centre, Dublin. From 1993-97, he was Director of EWU Press. His poetry and prose have been published in Ireland, England, Canada, and the US since 1954; he is represented in a number of anthologies, including The Penguin Book of Irish Verse (ed. Kennelly} and The Great Book of Ireland. New & Selected Poems is his tenth collection. James J McAuley lives in Booterstown, Co. Dublin, with his wife Deirdre.